Redesigned with a USB rechargeable Lithium-ion battery for longer life*. The Smart Scale II™ has the same water repellent nano-coating as the original, but is even more water resistant thanks to the completely sealed body and included silicone platform pad. It automatically tares, automatically times, and automatically shuts off depending upon which of the six available modes has been selected by the user. We love this scale! 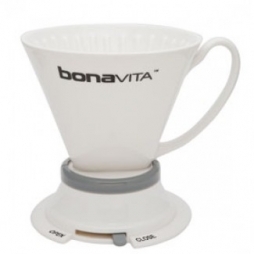 It has an exceptional value for the price, and is guaranteed to make your manual brewing more precise and efficient. This scale is excellent when used as your pourover scale, but even better when used on your espresso tray.